Hydration type - 2 x 500 mL Soft Flasks. Will accomodate a 1.5L reservoir (not included). 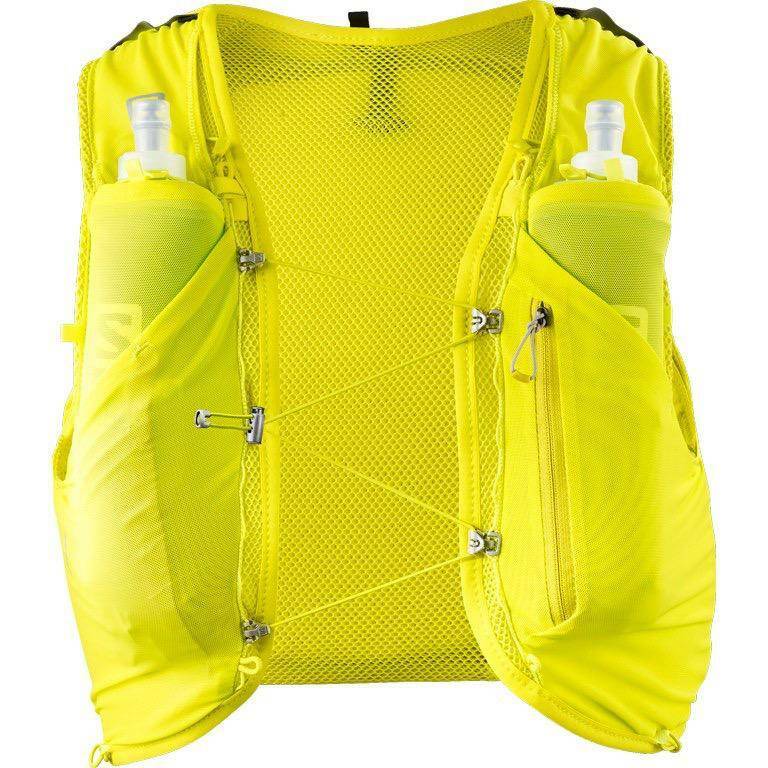 Large stretch pockets up front to carry fuel, gloves, etc, and 1 large zipper secured pocket up front for a phone or other gear. Will accomodate a 1.5L water reservoir (not included). 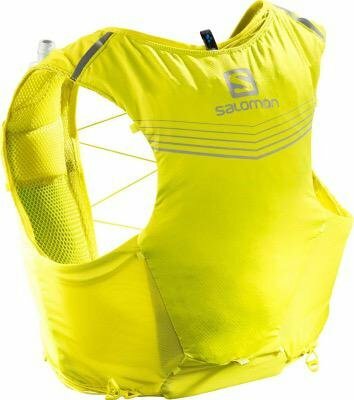 Carry poles horizontally across the lower back using elastic loops, or with Salomon's custom quiver (sold separately). 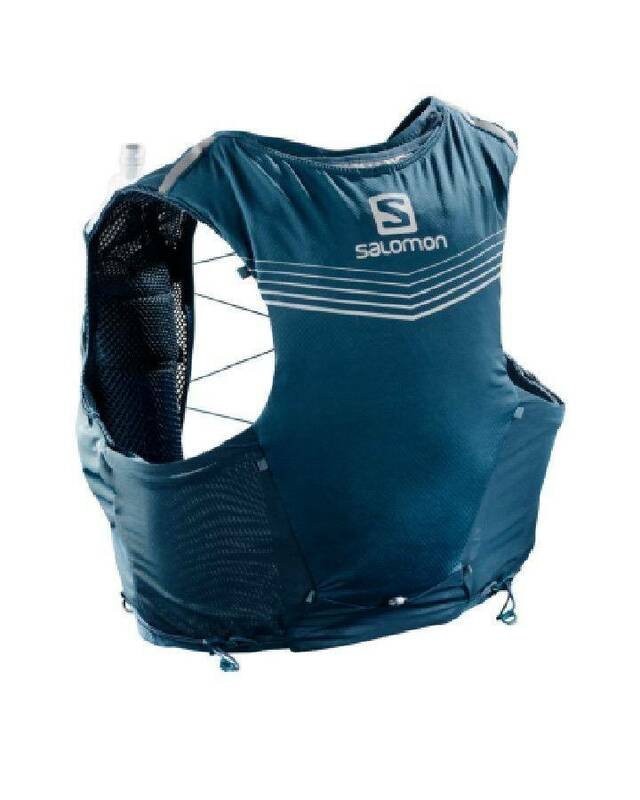 All new sizing for the Advanced Skin Vests. For longer self supported adventures, or for races with larger mandatory kit requirements consider the Advanced Skin 12 Set. Although a unisex vest, there is a Women's specific Advanced Skin 8 Set.